Literature, the first discipline known to man after all, what was the Spirit hovering over the water if not back story? And what was “Let there be light.” If not Act one, scene one? So literature has always been part of being human. It has helped carry our stories from age to age. It has warned us, shaped us, comforted us and entertained us. Literature is us. Consequently, we always searching for new ways to experience our reality, fantasies and ideas. Billions of dollars and aeons of time is spent making, publishing, reading and receiving literary inventions like books, poems, texts and blogposts. We don’t want good work, we want great work. The problem is, no one seems to agree on what great work is. Thankfully, it is easier to agree on what great literature does. Here, I am sharing some of the things great literature does. 1. Great literature makes a good read. 2. Great literature lends itself, is quotable. 3. Great literature lingers after the last word, is memorable. 4. Great literature stays relevant, is evergreen. 5. Great literature touches people. 6. Great literature inspires people to create. 7. Great literature says something important. 8. Great literature leaves readers better than it met them. 9. Great literature is re-read, again and again. 10. Great literature is shared, from one generation to another. 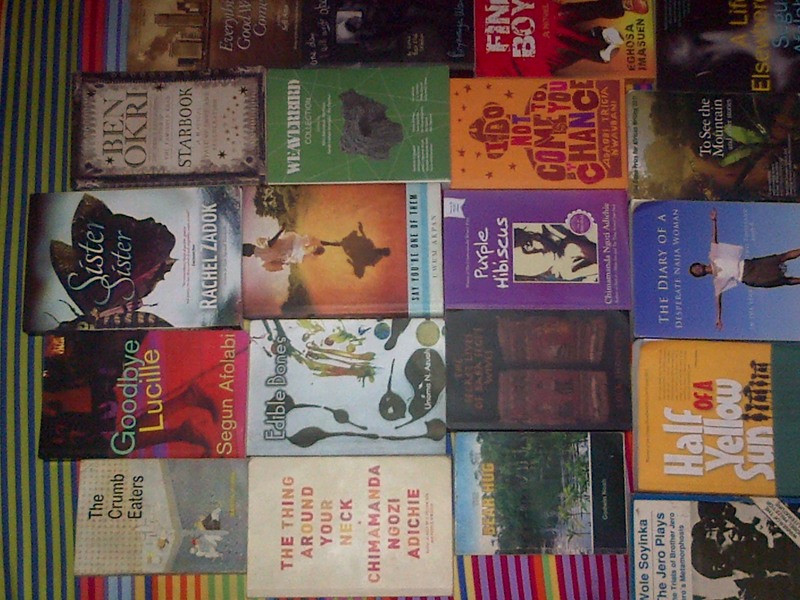 One reviewer of Taiye Selasi’s Ghana Must Go said when you read the book, “you will know what great literature can do”. The jury might still be out on that, but if it does, that will be amazing. What else does Great Literature do ? In your view? It is hard to read a book like Americanah without having an opinion about it. We want to hear yours. Here, are 7 questions based on the book to help you express those opinions (yes, you have to read it to answer). As a good sport, I’ll answer first. 1. 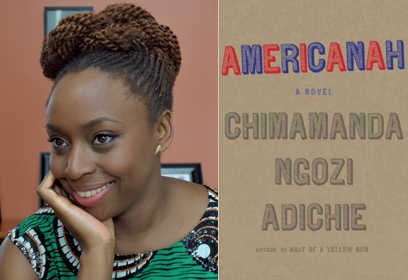 Did you like Americanah? 2. Would you recommend it to a friend? 3. Do you think you will read it again? 4. How does it compare to Half Of A Yellow Sun? 5. Who was your favourite character and why? 6. What was the best part of the book for you? Bonus: Did you notice the -nesses and -ilys? I liked it because it did show long, hard work and a touch of finesse. I disliked it because it lacked compassion for most of the characters. The scorn in the narrators voice was heavy and oft times ridiculous. 3. No, not at all. 4. Poorly. Half Of A Yellow Sun is 5X better than Americanah. 5. Blaine; because he strived to do the right thing at all times. 6. The high school romance beween Ifemelu and Obinze. 7 The authorial intrusion; almost every scene had a sermon to preach. Bonus: What??? They almost blinded me! Welcome to my blog. As you must have heard on Twitter, I read Americanah and I wanted to discuss it with other book lovers. After reading the book I had so much I wanted to discuss. There were things I liked and things I disliked. There were a lot of questions raised. To encourage the discussion across barriers of time and space I decided to write a couple of articles about it. That way we can all share and learn despite being miles apart. I am aiming to provide a place where we can rave, rant or question the book; and become better for it. It is becoming normal popular culture to stifle dissent from consumers especially readers. If you read a book and you don’t like it you are at risk of being labelled ‘envious’ ‘beefing’ and a ‘hater’. I believe such talk is the work of intellectual assassins. They want to create a mob of mute zombie fans that can not speak up about their feelings even after spending hard earned money to buy their books. Nonsense. It is interesting that the wise words of Pa Achebe where he encouraged everyone to tell their stories are now being used as a shield against critical discourse. People tell car companies things they don’t like about a car. This leads to improvement, innovation and better vehicles. I have never heard a car maker say “Go and build your own car!” And I think the idea that you must write a novel before you can say what you didn’t like about a book is absurd. The days of insular writing and continental navel-gazing are gone. Now, any writer regardless on descent will find her or himself on the world stage, This implies constant improvement. So if you really care about your craft, you will appreciate those that take the time to give specific suggestions for improvement. That said, not everything you read is going to be true or helpful. Take the sugar cane juice and spit out the chaff. In any case let’s not lose our curiosity, our right to ask questions and our honest appraisal of literary work. If we do, we will find ourselves relegated to the fringes of the new frontiers of writing. God forbid, I forbid, what do you say? To make things easier I will post different articles over the next few days. I plan to update the page as new things come up so you might want to follow the blog/ follow us on twitter to keep up. This is not an academic exercise; it is a book lovers hang out. Comments found be abusive will be deleted but efforts will be made to air all views. 2a and 3a are ready expect the rest during the week. 1. Articles for those who haven’t read the book. 2. Articles for those who read the book and liked it. b. When You Have The Mic, Shout Your Heart Out. 4. Articles For The Neutral. b. Authenticity Vs Plausibility, Fiction Or Memoir? d. Who Likes Soft Wimpy Men? 5. 7 Questions, Tell Us Your Answers. This deserves a full post. However this list would be in complete without a mention. Words ending with -ness and -ly were all over the book like weeds. When I moaned about it a friend said they were typical of Ms Adichie’s books. This sent me looking for my copy of Half Of A Yellow Sun. There were hardly any of them seen. Was this an oversight of the editor? Does this mean we have better editors at Farafina than Knopf? More on this in a fresh post soon. And then there is the issue of the blog posts. While it might be argued that they lent some credibility to the narrative, many of them sound fake. They also add bulk to the book. I think they ought to have been trimmed and re-edited. One post had a sentence that was 125 words long. Why??? 3. The Scorn In The Narrators Voice. The reviewers at the Wall Street Journal did a micro dissection of this, I’ll just say that it didn’t help the book much. It comes across as boring and self-obsessed. Everywhere the narrator looks she sees black and grey. Everywhere there is something to put someone down for. If it isn’t Brooklyn smelling of sun warmed garbage, it is Michelle Obama being made clamped flattened and tepidly wholesome. An unpleasant world view to say the least. 4. The Cliched Portrayal Of The Pentecostal Nigerian Church. I have read Ms Adichie’s work, Purple Hibiscus, The Thing Around Your Neck , Half Of A Yellow Sun and even some little known shorts like Time Story and Crazy African Woman. One thing that puzzles me is her persistent stereotype of pentecostal Christianity. It seems she can’t write without devoting a row of boxes to be checked on that issue alone. And always it is the same stories, the same characters, the same cliched portrayal of a one-sided narrative. Pleeeease. It might be one of the only subtle thing about this bold book, but the box checking in Americanah is alive and well. On it’s own that would not be a bad thing; it would just serve to broaden the discourse. It becomes worrisome when no scene exists merely to drive the plot or show character but also to check a box. It made me read each scene with a smirk knowing there would be something shoved in for extra depth. Some scenes ended up feeling fake because of this. Who gives lectures to a total stranger about the magnanimity of oil companies? Which office girl dares tell a superior she has a husband resisting spirit? The effects of box checking, writing with an agenda and refusing to let go even when it is obvious that it is uncalled for. 6. The Vague Description Of The Characters. This is another thing that has drifted over from HOAYS. In HOAYS we are told thepat Kainene is ugly and Olanna beautiful but we have no idea how or why. In Americanah we meet Obinze and Ifemelu but we can’t describe them to save our lunch. Obinze is short. How short? Not short enough to consider the name Ceiling derogatory but then how short is that? Ifemelu is slim, dark, pretty and has a generous bosom. Pretty how? what are her best facial features? We don’t know and we wonder why this wasn’t well developed. 7. The Sense Of The Book Trying Too Hard. A combination of box checking, a scornful narrator and a thousand -nesses and many ilys give a sense that the writer was trying too hard. It feels like she was forcing greatnesses into the work. It reminds me of David looking ill-dressed in Saul’s armour. It seems like a cook that wants more than anything for his the food to taste good but ends up with an over-spiced dish that burns the palate. One wonders if the book wouldn’t have fared better with a lighter touch in some places. That said Americanah is out and selling. As every businessman knows production should precede perfection. Who knows maybe there will be a new edition. One weeded of -nesses and -ilys and devoid of forced dialogue.